BROOKLINE I — Nawada Landscape Design, Inc. This project exemplifies our belief in embracing the vision of the client. 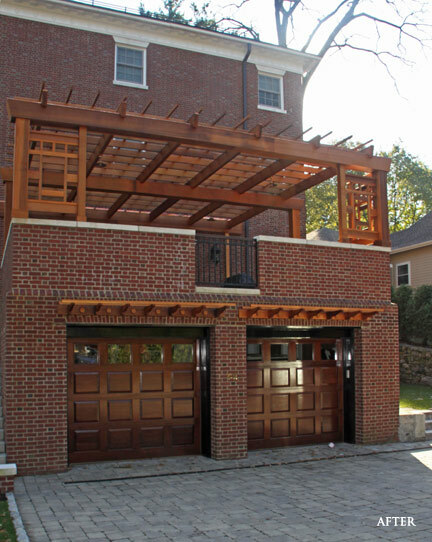 The pergola was constructed to build a visual connection between the house and the existing terrace above the garage, creating an inviting place to relax outdoors. Open rafters of the pergola provide a sense of enclosure yet openness to roof lines. 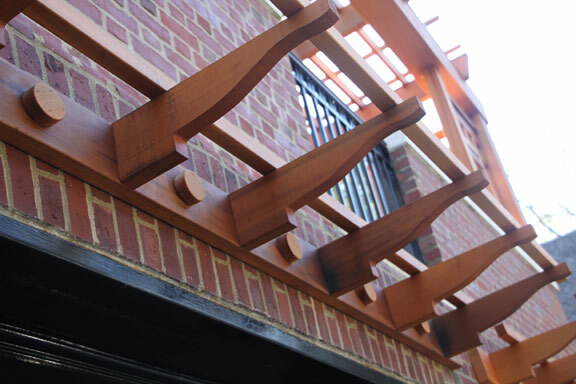 The woodwork details of the pergola were constructed with Clear Vertical Grain (CVG) Cedar and sealed for protection from nature's elements. The gardens designed and installed in the front foundation were selected for their compactness and to provide the landscape with multi-seasonal interest consisting of color, texture, and form.